The ftz-f1 gene encodes a nuclear receptor that plays an important role in ontogenesis of Drosophila melanogaster. Transcription of this gene at the onset of metamorphosis occurs for a short period of time and is subjected to complex multistep regulation. Recently, in the distal part of the first intron of the ftz-f1 gene, we discovered a regulatory element with enhancer properties. In the present work, we continued the study of the chromatin properties in the ftz-f1 gene locus. Using the chromosome conformation capture method (3C), spatial interaction between promoter and intronic enhancer of the studied locus was detected. At the preparatory stage of gene transcription, knockdown of the SAYP subunit, which recruits the SWI/SNF complex to the ftz-f1 gene, caused considerable attenuation of this interaction. At the stage of active gene transcription, SAYP knockdown led to a considerable decrease in the level of histone H3 acetylation at position 27 on the promoter and enhancer. The data obtained indicate the important role of SWI/SNF in the formation of chromatin structure needed for adequate expression of the ftz-f1 gene and its important role in the intronic enhancer activity. 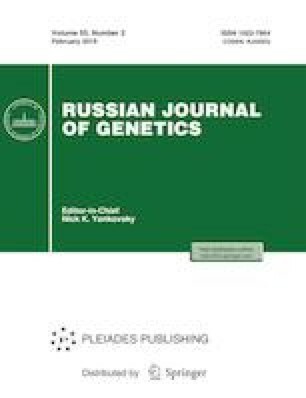 This study was supported by the Molecular and Cellular Biology Program of the Presidium of the Russian Academy of Sciences and by the Russian Foundation for Basic Research (grant nos. 14-04-01297, 17-04-01713, and 18-04-01019).